S905X chipset inside is advanced in technology and configuration compared to the previous S905 chipset, it supports both H.265(HEVC) and VP9 decoding, and it acts faster than the normal S905 chipset. It could also support HDR Vivid World, you can watch videos in detail like never before with select HDR content. Witness scenes and characters come to life in vivid contrast, color, and clarity. The newest KODI 16.1 pre-installed, you can easily find the needded add-ons without torture. Just go to the KODI center, find what you needed, press start or update, it will do automaticly as you required. 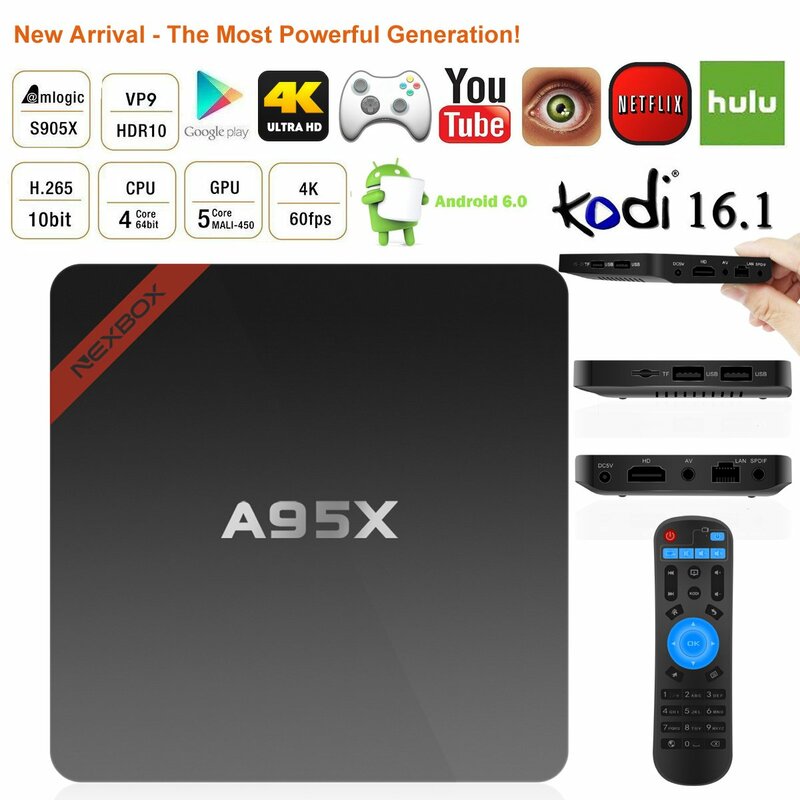 It is a practical home streaming media player, you can enjoy all your favorite movies from Netflix, Phoenix, Genesis, Navix, and you also can play thousands of android games in a large screen smoothly.